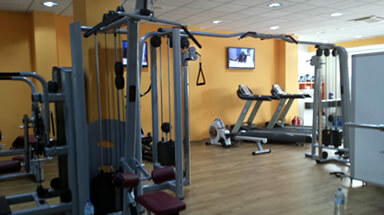 Jacobs Gym has the most cutting edge equipment currently available in the Alfaz area. Freshly imported from the USA it includes bikes, elliptical trainers, treadmills, chest press, leg extension, leg curl, cables and pulleys, pec deck, lat pull down, cable row, hip thigh and many, many more. 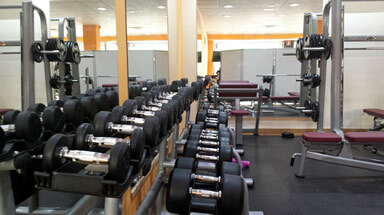 As well as the top of the range machines there is also a comprehensive free weight section. 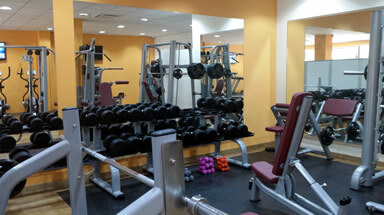 "EXCELLENT MACHINES & FREE WEIGHTS SECTION. 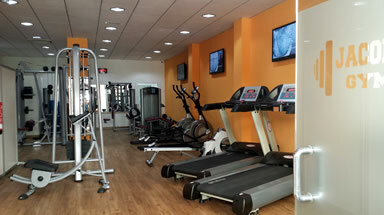 ALSO THE PERSONAL TRAINERS ARE FRIENDLY, HELPFUL AND GIVE YOU BRILLIANT TIPS AND IDEAS." In your first session, one of our our Personal Trainers will start you off on your new gym programme and recommend exercises and classes to help you achieve your fitness goals. It's also the perfect time to ask any burning questions and seek advice that's relevant to you. Then, as your fitness improves, your personal trainer will help you reset your target and advise you on how to achieve your next set of goals. It's also a great way to make your gym sessions more efficient. Best of all its FREE! So what are you waiting for?